Remove unsafe wired glass in school renovation. Schools should use fire rated glass alternatives that protect student safety from injury due to impact or fire when they renovate. The average age of a public school is 42 years old. Back then, the only fire rated glass available was wired glass. It’s since been outlawed in hazardous locations because this glass breaks easily. Renovating older school buildings often requires significant upgrades in interior design which take advantage of advancements in building materials, including fire rated glazing. Throughout most of the 20th Century, fire-rated glass simply meant wired glass. Unfortunately, traditional wired glass passes fire endurance requirements, but fails to meet today’s higher impact safety standards. 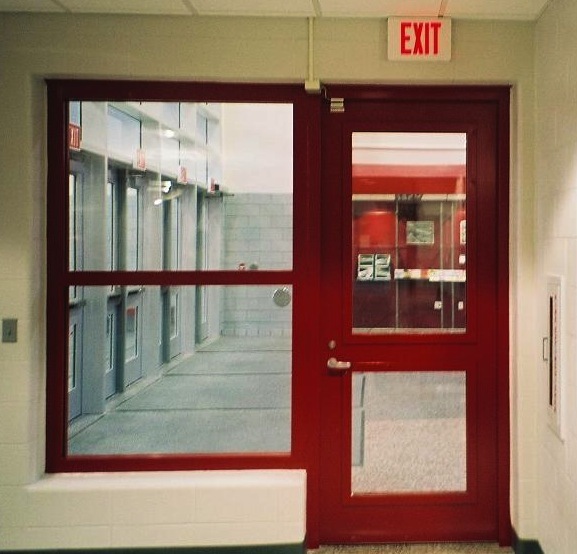 The 2012 IBC makes it clear that traditional wired glass and ceramics in fire doors and paths of egress must be limited to no more than 100 square inches. To create larger vision areas, designers need to use impact-safe and fire-resistive glazing alternatives. Designers now have a wide range of attractive, fire and impact resistant glazing options to use in creating bright, lively, and safe learning environments. 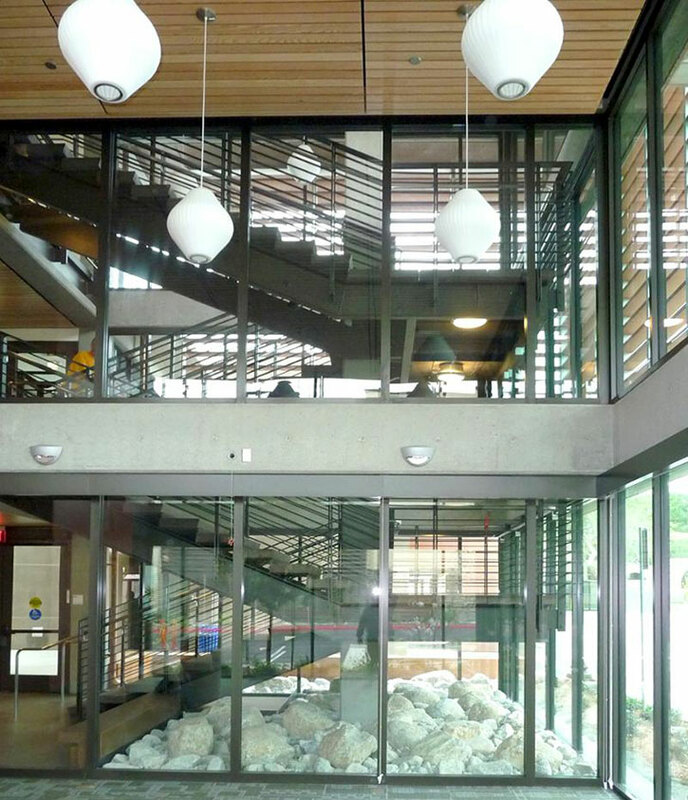 Advances in fire and safety-glazing technology offer architects and facility planners a chance to bring daylight into interior corridors, study areas, libraries, and laboratories. Gone are the days when traditional wired glass was the only fire-rated glazing option. Today, school design can include clear door vision panels, full-length sidelights, glass enclosed stairways, and entire walls of glass. A word of caution: not all of the new clear products prevent the transmission of radiant heat and meet more stringent wall performance standards (ASTM E-119). Many fire-rated glazing products may achieve fire endurance ratings of 60-minutes and beyond, but current building codes restrict their use and size. SAFTI FIRST has a product for every fire-rated glazing application, so it’s important to consult with one of our technical sales representatives or use our interactive Product Selector. Knowing the performance criteria of fire-rated glazing opens a whole new world in school design. Renovating older schools to include modern technology and meet today’s safety standards can preserve a community character while both enhancing and protecting its vital resources, schools and students.